Italy is the one European country, which is bound to suffer most from the unfolding conflict in Libya. By alienating Gaddafi’s regime, it loses an important market and faces energy shortages, while inflow of refugees becomes a burden for Rome. Italy and Libya's bilateral relations are prodigious. Italy is the North African country's most important commercial partner in Europe and the world. Italy is also Libya's largest exporter, accounting for some 17.5 percent of the Arab country's imports, which were worth a staggering 12 billion euros last year alone. At the same time, oil-rich Libya satisfies approximately 10 percent of Italy's energy demands, thanks to the Greenstream pipeline, which travels under the sea connecting Libya and Sicily. Over the last three years, Italy has also been Libya's closest 'friend' on the international stage, signing a Friendship Treaty with the North African country in 2008, which took effect in March 2009. The treaty was not only the beginning of a renewed diplomatic relationship between the two Mediterranean nations, but also an economic pact worth some five billion dollars over 20 years as compensation for Italy's 30 years of colonial rule of the Arab country (1911-1943). ­As part of the compensation, Italy was to fund the construction of hospitals, roads and highways, railways and other much-needed infrastructure in Libya. The treaty was approved with bipartisan support in Italy and the reasons for this were simple: economic interests. Italian businesses have a lot to gain from the lucrative infrastructure contracts that resulted from the treaty. For example, the renewed Italy-Libya relations helped Eni, Italy's biggest oil and gas company, strengthen its already significant presence in the Libyan oil market. 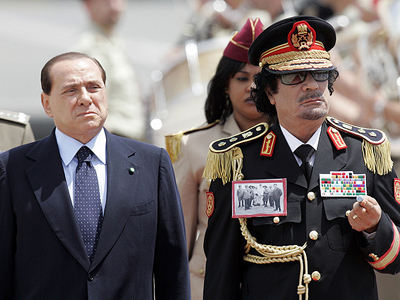 Many Italians believe that Berlusconi's personal ties to Gaddafi should have allowed the Italian premier to successfully mitigate the conflict in Libya. Instead, Italy has failed to take a decisive stance since the start of the violence. 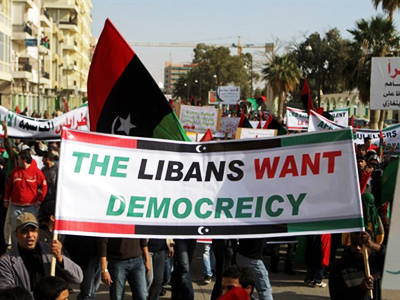 “Due to its long-standing and close relations with the Libyan government, which have also been based on the personal ties between the Italian Prime Minister Silvio Berlusconi and the Libyan leader Muammar Gaddafi, Italy was the last of the EU member-states to officially condemn the Libyan government for killing its dissident civilians. This has strongly weakened the EU's international position in the Libyan crisis,” says Stefania Panebianco, Associate Professor in Political Science at the University of Catania, who spoke to RT from Tunisia. 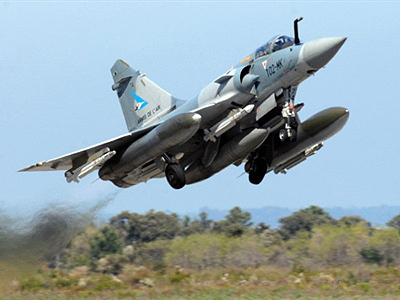 The EU also showed mixed feelings over the UN-mandated no-fly zone, with some supporting a NATO-led military mission, like Italy; while others, like France, which never wanted NATO's involvement over fears of alienating other nations like China, the Arab League and the African Union. What emerges is that Italy did not have much of a choice in the matter. 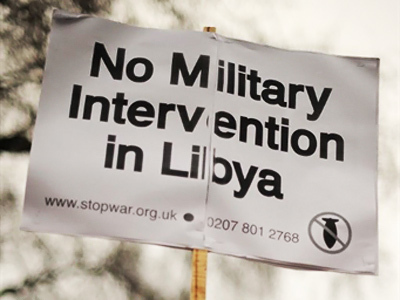 On one hand, it decided to participate in the international mission in Libya to protect its business interests there; on the other, it was pressured by the EU's stronger nations, France and Britain, which pushed for more a more decisive role by the EU in the face of this international crisis in Europe's backyard. “Why didn't Berlusconi try to mitigate the conflict precisely because of his “close ties” Gaddafi? This is what the entire country is asking itself. I can only imagine that Berlusconi didn't know what to do—and still doesn't. It would have been an admission of the failure of his foreign policy. He will never admit that he failed in this sense. It doesn't help that Europe is being very ambiguous about its position, too,” says Luca Fiorito, Senior Professor of Economics at the University of Palermo and former executive of Italy's third largest bank, the MPS Banking Group. 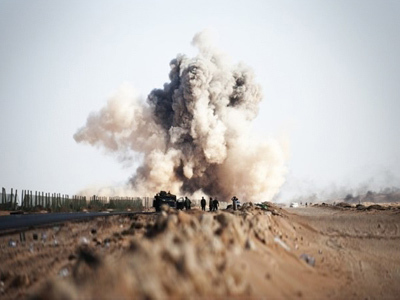 "The coalition is intervening to defend the civilian population. Italy is not at war and does not want to be," he noted. Italy's only hope now is that the Italy-Libya treaty can be reactivated after Gaddafi is long gone. The Libyan leader, however, shows no signs of leaving, and for Italy it remains unclear who and what will come next. “Economically, everyone in Italy is terrified about what will happen in Libya. Italy has so many interests there that no one can reasonably estimate what the outcome will be for Italian businesses and the economy. It's impossible to do anything except wait in such uncertainty,” Professor Fiorito told RT. On March 22, the leaders of Italy's largest banks met behind closed doors to discuss the potential economic fallout from the situation. 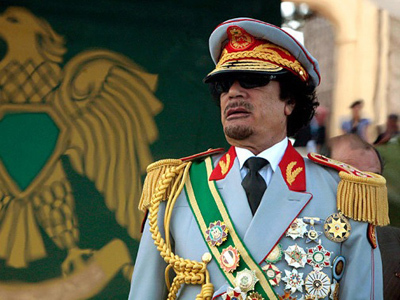 If Gaddafi stays in power, Italian companies risk losing billions of dollars because of the Italian government's role in the enforcement of a no-fly zone over Libya. “In the event that Gaddafi is ousted from power in Libya, Italy has to be involved in the post-war period to protect its investments; but if Gaddafi stays, it will be a huge blow for Italy and its economy. There is no way to know how much Italy will lose at this point,” Professor Fiorito affirms. Many experts remain concerned over the EU’s lack of unity in responding to the events that are unfolding in the Mediterranean, especially regarding the Libyan crisis. The EU has also failed to effectively respond to the migrant crisis that has engulfed the southern Italian island of Lampedusa, about 130 kilometres off the coast of Tunisia. ­Italy is not only facing a potential economic and diplomatic crisis from the Libyan conflict, but it is also facing a potential humanitarian crisis, with Italy's shores poised to become the main destination for tens of thousands of Libyan refugees fleeing the violence at home. Anti-immigrant controls on the coasts of Libya have been reduced to zero since late January, when the uprisings in North Africa started. Since then, about 15,000 illegal migrants, the vast majority from Tunisia, have reached Lampedusa. Italy has been asking the EU to share the migrant burden. The EU, however, has yet to respond to Italy's pleas. Italy says it can only accept a maximum of 50,000 migrants, which will be sent to 13 centers across the country. However, on March 24, Secretary General of the UN, Ban Ki-moon, said that 200-250,000 migrants and refugees fleeing violence in Libya are expected on EU shores. Moreover, Italians are beginning to fear dangerous repercussions from Libya: pro-Gaddafi terrorists passing themselves off as Libyan refugees seeking asylum. “We are finished once the Libyan migrants start coming; who knows what will happen then,” says a resident in Sicily, who fears the possibility of terrorist attacks on Italy. 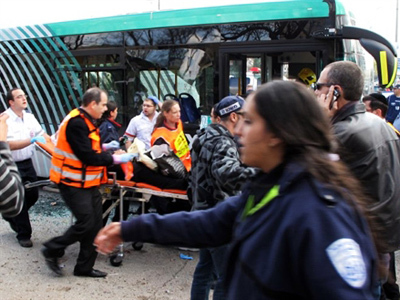 “The risk of terrorism was and still is a crucial issue on the global security agenda, and governments should in no way be less attentive to this. 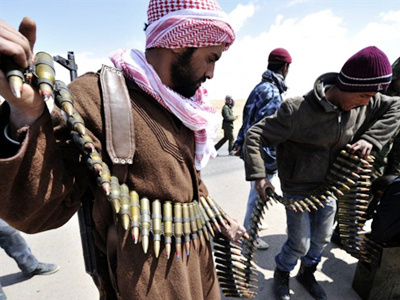 Libya is one of the international actors that has been accused of financing terrorist attacks,” asserts Professor Panebianco. One thing is certain: in just over one week since the UN Security Council authorized the use of military force in Libya, a solution to the country's crisis is nowhere in sight. Meanwhile, both Italy and the EU continue to sidestep the real issues at hand: the hunt for oil and foreign interests in Libya, coupled with a veritable migrant crisis that will soon come knocking on Europe's front door. 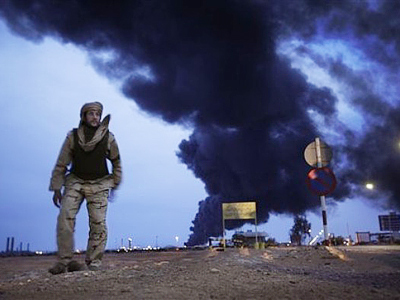 100 Italian businesses have permanent operations in Libya, the largest of which is oil and gas giant Eni, which gets 14 percent of its total production in Libya. Another Italian business with important operations in Libya is the Italian steel manufacturer Finmeccanica. Both the Central Bank of Libya (4.988 percent) and the Libyan Investment Authority (2.594 percent) have a total 7.5 percent stake in Italy's second largest bank, Unicredit. The Libyan Investment Authority has a 2.01 percent stake in the Italian steel manufacturer, Finmeccanica. Finmeccanica's current contracts in Libya are estimated at circa one billion euros in the railway and helicopter producing sectors. The Italy-based Impregilo Group is one of the world’s top construction multinationals. It holds several multimillion-dollar building contracts in Libya, including the Conference Hall in Tripoli, three university complexes, infrastructure contracts for the urbanization of the cities of Tripoli and Misurata. The Libyan Post has a 14.8 percent stake in the Italian broadband telecommunications company Retelit. The Libyan Arab Foreign Investment company owns 7.5 percent of Italy's Juventus football club. Is Washington more obsessed with Iran rising than Libyans dying? 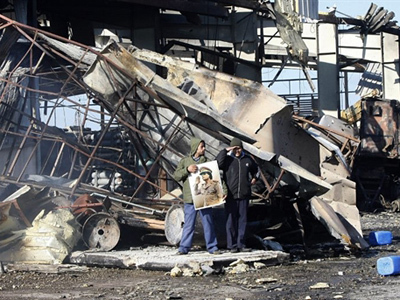 Libya and Iraq turning into "black holes"